Working in partnership with the Conseil de développement économique des Territoires du Nord-Ouest (CDETNO), Verge created an informative, up-to-date and mobile-friendly website for people considering moving to Yellowknife. 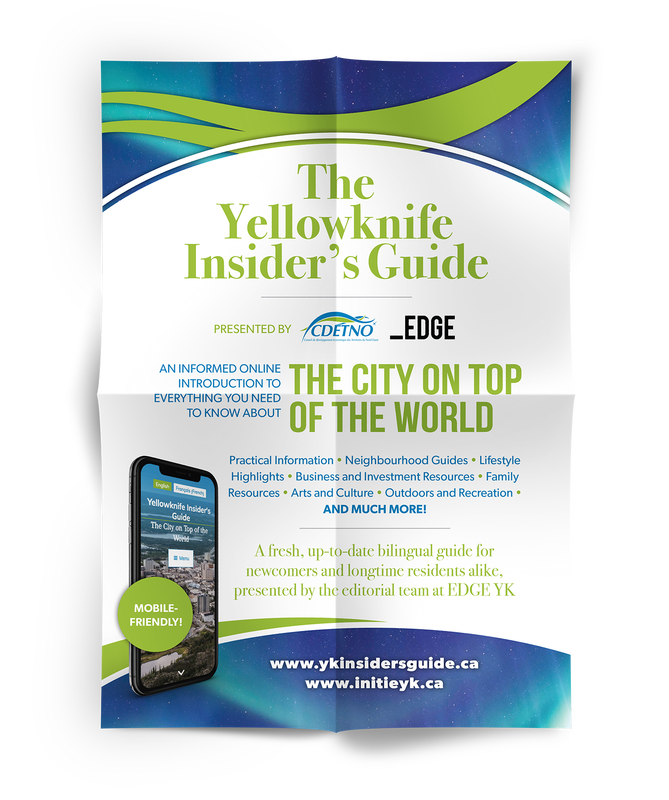 The bilingual site combined fresh and relevant original content, plus articles from Verge’s EDGE YK magazine to provide an honest but positive look at the realities of Yellowknife life, from basic practical information to cultural insights to recreational and cultural resources. Verge also created a promotional handout to promote the site at the many trade fairs and recruitment events CDETNO attends every year.